Officials at the Spartanburg County, S.C. jail found accused opioid dealer Theodore Khleborod dead last week, according to the Spartanburg Herald-Journal. Khleborod, 28, came to the attention of Portland Police Bureau detectives earlier this year after Aisha Zughbieh-Collins, 18, was found dead in Southeast Portland in February. Her death led police across the country and into new investigative territory on the Dark Web. The Oregon State Medical Examiner determined Zughbieh-Collins had died from an over-dose of U-47700, a synthetic opioid Portland drug detective had not previously encountered. Their investigation led them to to a drug bazaar called AlphaBay, which was an eBay-like site for illicit drugs and services. That's where they found a South Carolina-based drug dealer who called himself "Peter the Great," a name investigators determined was an homage to Khleborod's Moldovan heritage. 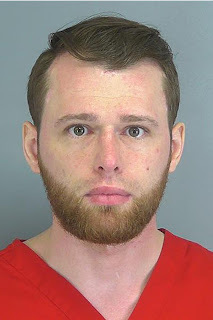 Khleborod and his girlfriend were initially charged with distributing narcotics in May in South Carolina, where they live. The charges were then upgraded in July to include a so-called "Len Bias law" charge of selling drugs that caused a customer's death. That law includes a 20-year mandatory sentence upon conviction. The U.S. Department of Justice shut down AlphaBay in July. In comments announcing that move, Attorney General Jeff Sessions referred to Zughbieh-Collins' death. Khleborod was scheduled to face trial early next year. A precise cause of death has not been released, although the Spartanburg County Coroner's office told local media that it appears Khleborod committed suicide. Jessica Collins, Zughbieh-Collins' mother, says she feels some form of justice has been served. "Upon getting the news that Theodore Khleborod was dead I could not help but celebrate," Collins said in a statement. "Him killing himself or being killed has brought me and my family a great sense of comfort. I hope that he suffered the same pain that he has caused so many families. Aisha's life was stolen from us. She is forever gone because because of Ana Barerro [Khleborod's girlfriend and co-defendant] and Theodore Khleborod's greed."